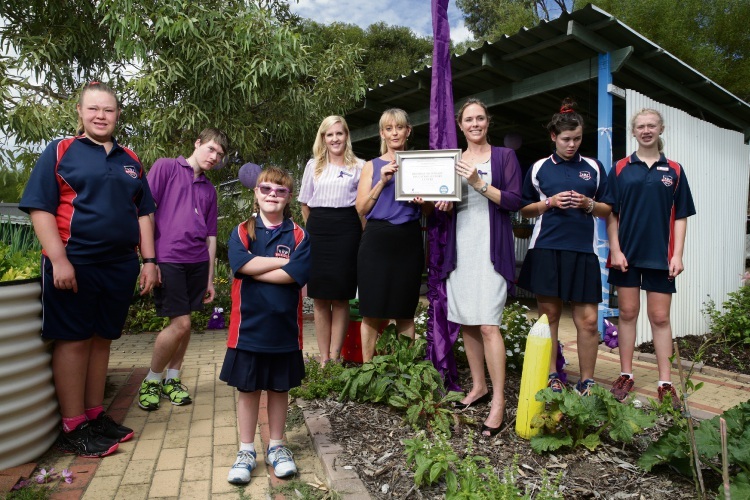 PERTH’S first Epilepsy Smart School received national accreditation this month. Belridge Secondary Education Support Centre in Beldon received accreditation in early April through Epilepsy WA’s program to train teachers beyond first aid for seizures and educate students about the common neurological condition. Epilepsy WA chief executive Emma Buitendag presented principal Jenine Wall with the certificate on April 2 and congratulated the centre on its commitment to boost student care and upskill staff. One in 200 school children in WA lives with a diagnosis of epilepsy, so Mrs Buitendag said teachers required epilepsy-specific training to understand their needs so teaching methods could be more inclusive and effective. “First aid training is no longer enough as there are 40 different types of seizures and children with epilepsy face daily challenges trying to learn and study,” she said. “Epilepsy is one of the most misunderstood and hidden conditions. Mrs Buitendag said epilepsy affected more people than cerebral palsy, multiple sclerosis, Parkinson’s, muscular dystrophy and blindness combined. Visit www.epilepsysmartschools.org.au for more information.